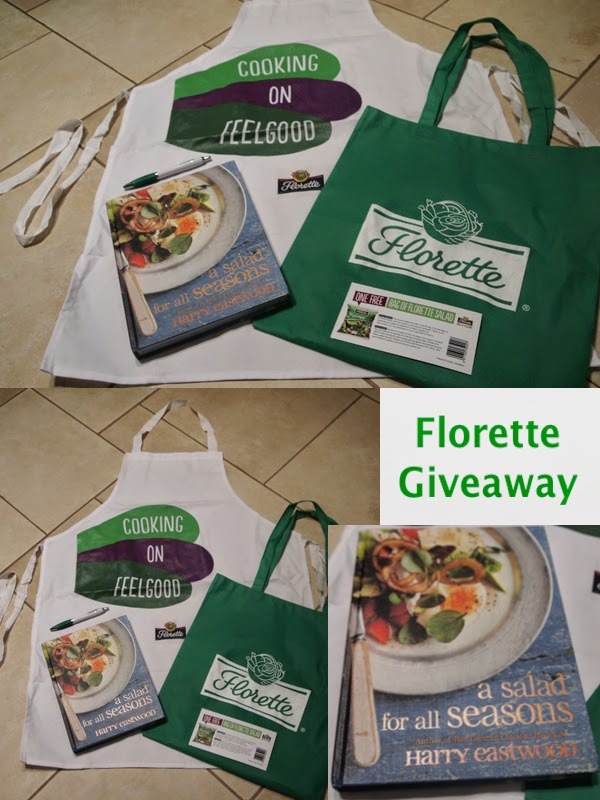 Mrs Bishop's Bakes and Banter: Florette Giveaway! So, because my Jelly Belly giveaway has been so popular (over 3400 entries at my last count!) I've decided to run another little competition here on the blog. A few weeks ago I shared my recipe for Salad Nicoise using a bag of crunchy salad leaves from well known salad brand Florette (read my recipe here). To encourage my lovely readers to enjoy more salad this summer I have a lovely little bundle of goodies to giveaway to one lucky reader, which will definitely help inspire you to create some fabulous salads this summer. 1 x voucher for a free bag of Florette salad leaves. All you need to do to enter is use the Gleam app below.